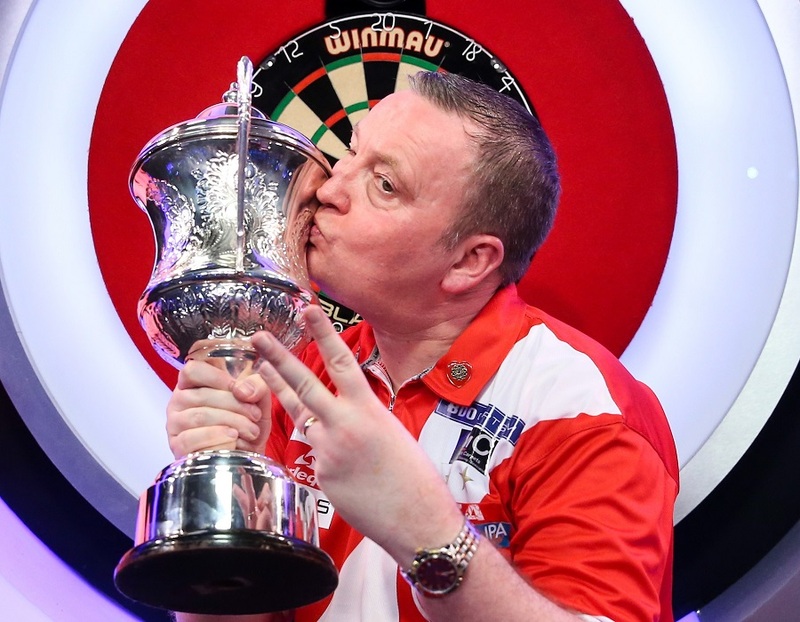 Glen Durrant joined darts legend Eric Bristow in becoming only the second player to win three consecutive BDO World Championship titles last night, after the Middlesbrough man defeated Scott Waites 7-3 in the final. In what was a fantastic atmosphere at the Lakeside, both men exchanged sets in a tight opening half of the match which saw them level at 3-3. Durrant then kicked into another gear to move 4-3 ahead before key checkouts of 70 and 80 gave him a two-set cushion over Waites. Durrant would then take a third set in a row to put himself within touching distance of the trophy, pinning double 16 to secure the win and his place in darting history.